After a workplace injury, your employer’s human resources (HR) department may offer to help you obtain workers’ compensation benefits. While this may seem to be for your benefit, remember that your employer’s HR department represents the company’s best interest and not necessarily yours. If you have been injured at work, you are strongly encouraged to consult a skilled workers’ compensation lawyer of your own to ensure that your claim is handled in a timely manner and accurately reflects the extent of your injuries. Most workers’ comp claims are rejected the first time, and many are also refused the second time around. Therefore, appeals are common and often must be filed to get the benefits you need. An experienced workers’ compensation lawyer can be a valuable source of information and can help with your appeal. Many workplace injuries involve someone else’s liability besides the employer. This may mean that in addition to a workers’ comp claim, you may be able to bring a claim against an equipment manufacturer or a subcontractor whose negligence contributed to your injury. After a denial of your workers’ compensation claim, there is a limited period of time available in which you can request an administrative hearing of appeal. 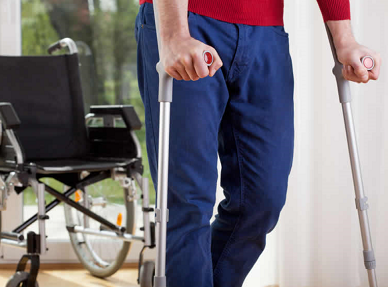 We also help clients with Social Security Disability claims. Our law practice has been built up through client word-of-mouth recommendations and referrals from other attorneys familiar with our work. Our attorneys possess a great deal of knowledge about the medical aspects of a personal injury and have the capabilities needed to present compelling arguments in administrative hearings, and before judges and juries.